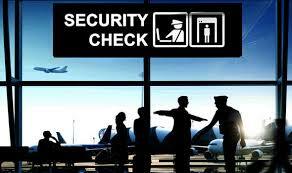 A pay deal proposed by Avsec in mid-July was formally accepted by airport security staff earlier today. Negotiations between the Aviation Security Service and two of New Zealand’s leading unions have finally come to a close after representatives formally accepted a new agreement. The PSA and E tū union members were asked by ballot to consider a new pay deal proposed by Avsec management and both accepted earlier today, Wednesday 10 August. “We are very pleased that we have reached a position where we have all agreed,” said Karen Urwin, group manager of operations at Avsec. The possibility of strike action and planned lock-outs had caused widespread uncertainty at airports across the country until mid-July, when the new pay deal was proposed. At the time, unions agreed to withdraw their strike action and injunction proceedings while Avsec management agreed to withdraw its lock out notices.